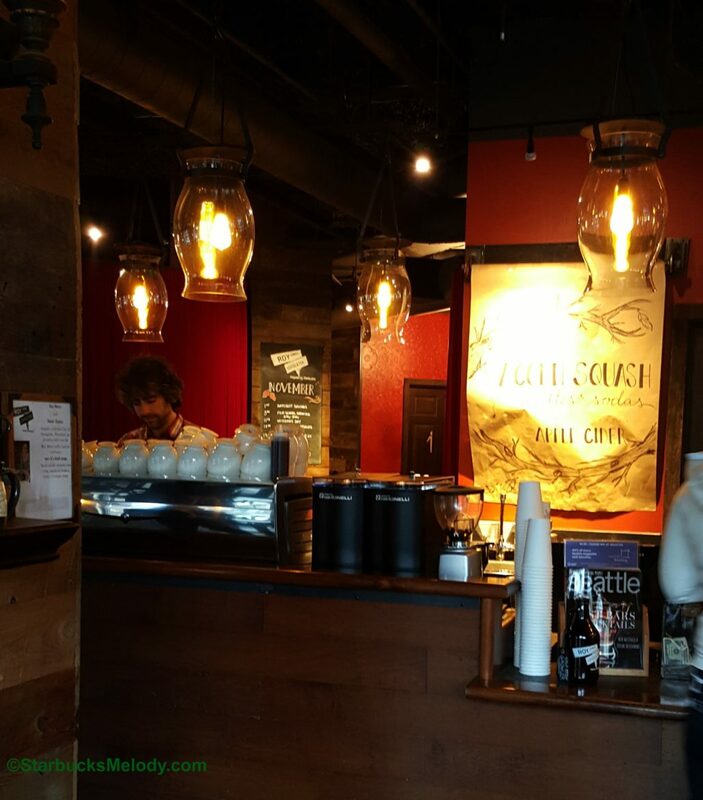 I tried my first Acorn Squash Latte this weekend (on November 14, 2015). It’s the current featured seasonal drink at Roy Street. If you are in Seattle, this is worth a try. Roy Street calls it their own twist on the Pumpkin Spice Latte: A fall drink but a little more savory. The “Acorn Squash” syrup is an in-house made syrup. It involves a squash baked with maple syrup and lots of cinnamon sticks, cardamon, cumin and other special spices and ingredients. Eventually the baked mixture gets reduced and filtered to a syrup. I tried this and loved it. I was stunned how good it was. I didn’t need to sweeten my latte with anything extra. The maple base of the syrup gives it plenty of sweetness but the lovely fall flavors come through too. 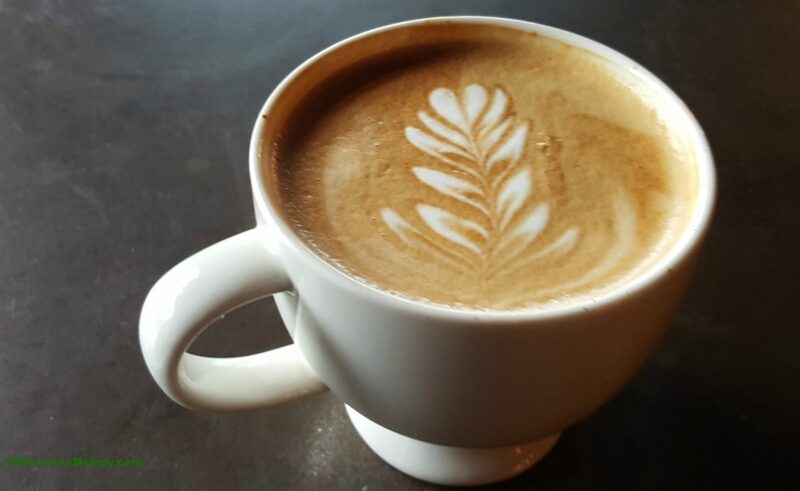 The Acorn Squash Latte comes to end November 23, 2015. If you happen to be in Seattle, go try this! At the end of the month, Roy Street will switch to a seasonal molasses latte. Here’s the official Roy Street blog post on the Acorn Squash Latte. I think it’s possible that each time I write about Roy Street, I confuse a few people. “Roy Street Coffee and Tea, Inspired by Starbucks” is a concept Starbucks operation. It is fully owned and operated by Starbucks but it doesn’t look or feel like a Starbucks. There is almost no dress code. All the pastries are local. There is beer and wine. The current espresso is Veranda Blend. All beverages are made from a manual espresso machine, with espresso hand-tamped, and milk steamed to perfection. For a long time, Roy Street has been considered a “learning laboratory” for Starbucks, so the beverages and food may change often. I always include Roy Street on the “must see” list of things to see, if you are visiting Seattle. 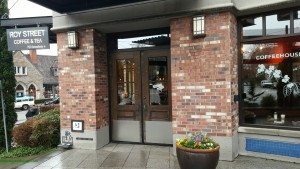 There used to be another Seattle “Inspired by Starbucks” store, once called 15th Avenue Coffee and Tea however in 2011, it converted back into a Starbucks. Today, 15th Avenue Coffee and Tea is totally a Starbucks, though still has a manual espresso machine. My understanding is that there still is one more “Inspired by Starbucks” coffeehouse store – I’ve heard it’s in Tokyo. That’s the story behind Roy Street, in a very short version of the story. Roy Street opened new November 18, 2009. Buy 5 Grande Holiday Drinks at Starbucks: Get one free. Starbucks Reserve Bicycle? Handpicked at the Roastery. Grand Opening: Starbucks in University Village – Evenings, Reserve, and has it all. 60th & Columbia Starbucks in Portland: Concept Drive Thru. And Leschi Starbucks Adds Clover – Reserve. Starbucks Experience in Hawaii: Thai Walls and More. Nice article, Melody. If I ever get to Seattle I’ll be sure to check out Roy Street. Always love hearing about what’s happening there. The acorn squash latte sounds really good. Would be great with Thanksgiving dinner I think. What a concept! But I can see it being toasty and warm! How is Veranda as an espresso? That seems odd to have a blonde coffee as an espresso shot. When I first read the title for this, I admit I thought… “Uh… Nope. That sounds terrible.” When you figure that pumpkin and squash are both in the gourd family, then why not? Your description made me want to try it… along with that Molasses Latte coming up next. I wish there was a way that I could buy a bottle of the syrup and mail it to you Cam! I originally wasn’t going to read this article because I thought ‘Geeze! 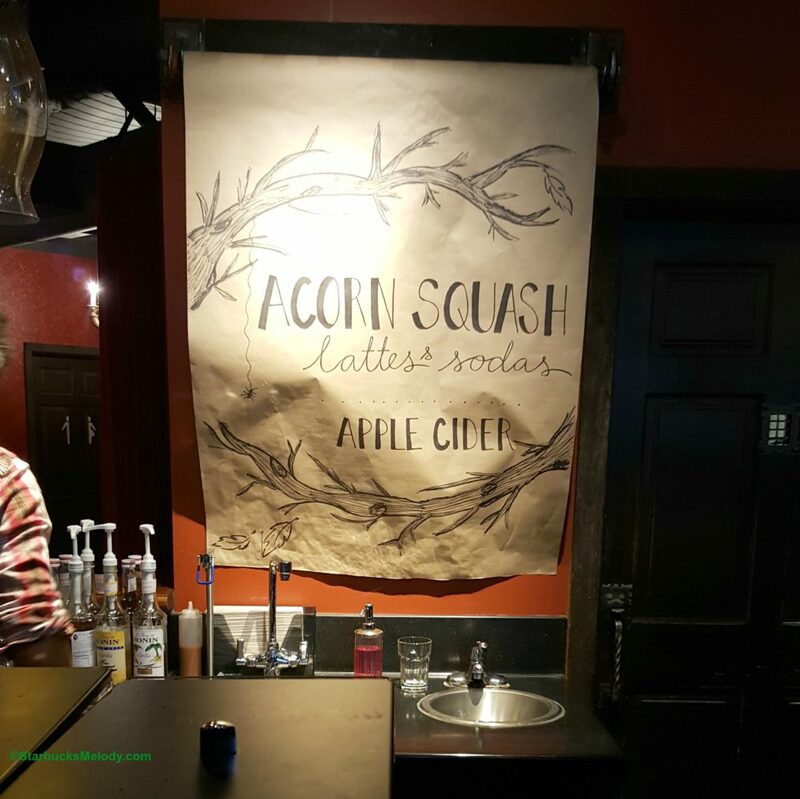 An Acorn Squash latte sounds horrible’ but I’m sure glad I did read it. You provided lots of interesting information. Thanks! My store tried pulling shots of veranda second hopper once or twice — it is so delicious! One of my partners described it as “toasted marshmallow pretzel” flavor. I was surprised just how great it was, just as flavorful as our espresso and other single origin offerings! I wish I could have it in my latte every day!